Thinking about getting the perfect gift for friends and family members as the holiday season is getting closer? Looking for something practical, with timeless elegance that will be cherished for many and years to come? 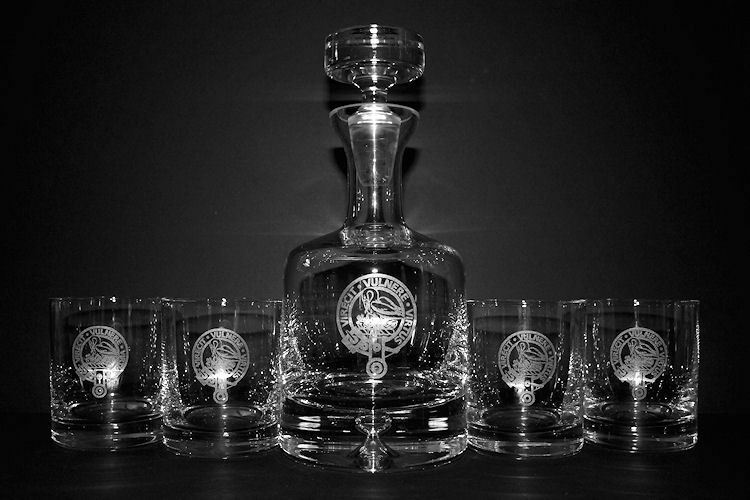 Personalized engraved decanters and wine glasses may just be the answer to your quest. By combining the classic elegance and usefulness of crystal barware and stemware with the personal touch of custom engraving you’ll turn your holiday gifts this season into one of a kind, treasured keepsakes. Whether it’s for an old friend, a family member or a client, adding custom initials, a logo, or a personal message will turn any decanter of stemware into a gift of something to remember. Our production turnaround of 2 to 3 business days is one of the fastest in the industry to make it easier and faster for you to take advantage of our crystal engraving services. To get started, we invite you to start exploring our selection of high quality brand name crystal products by Waterford and Ravenscroft Crystal. Share This Item - Choose Your Platform!